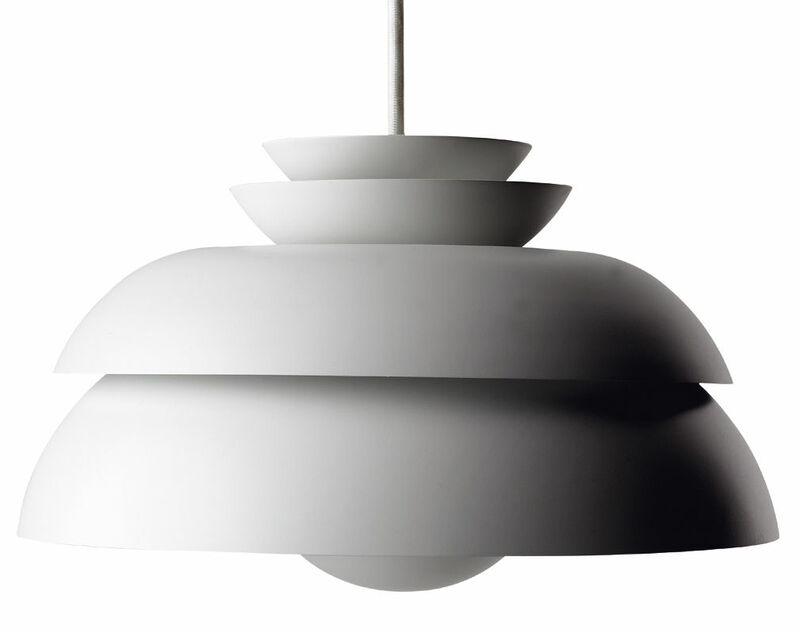 During his work in creating Concert, Jorn Utzon sought to develop a pendant with a pure and organic idiom of design. His idea was to use several different shades, and to strengthen the design further with upward illumination from the lamp. 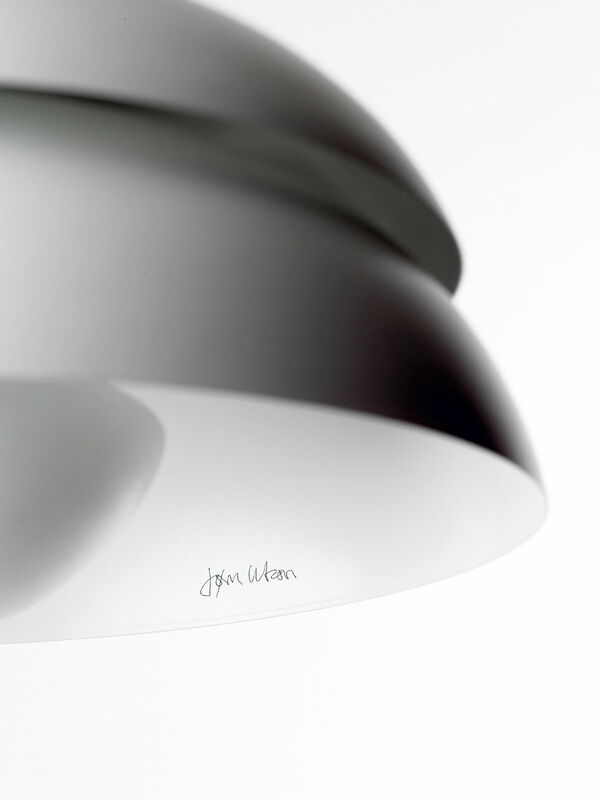 The chosen shade configuration is visually characteristic of Jorn Utzon and reminds us of his greatest work. Concert is built up of four shades and a parabola of drawn steel, which is mounted on a glass suspension of acid treated glassware. 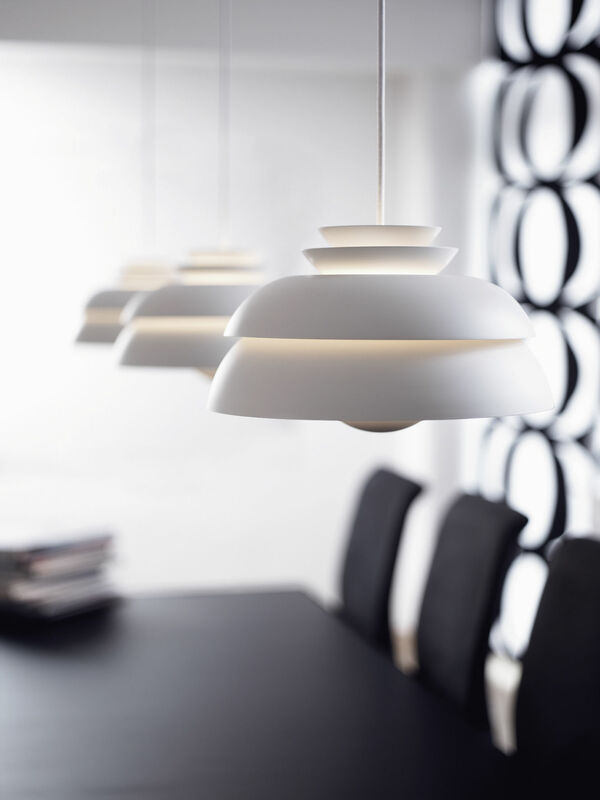 The suspension unit sends out a pleasant, even light between the shades. 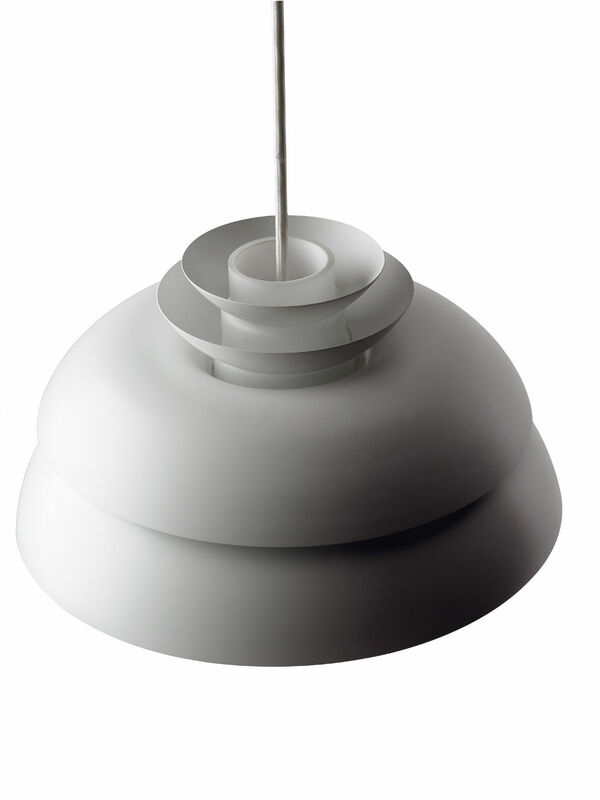 At the same time, it illuminates the two upward shades and part of the cord. The bottom shade casts light downward to the parabola, which then diffuses it. 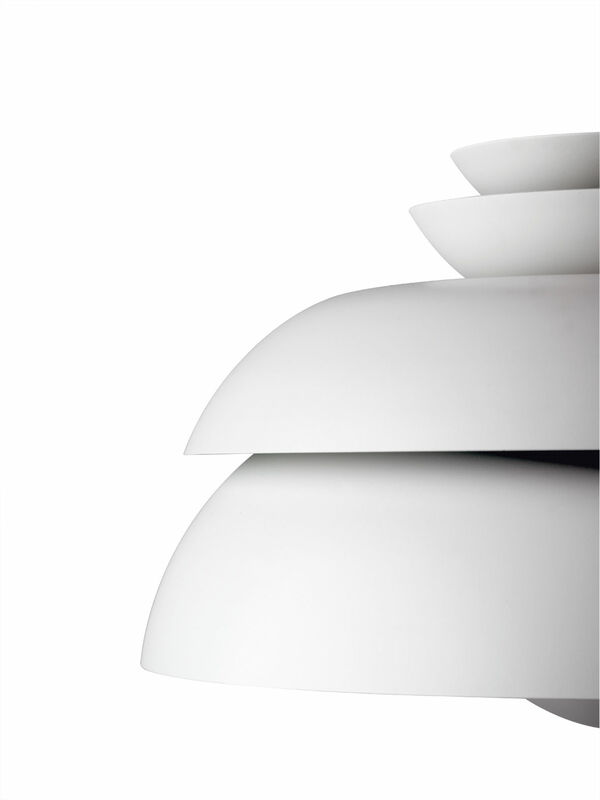 The parabola not only softens the light, but prevents glare regardless of the height of the lamp. Concert gives a pleasant, non-glaring light without compromising the strength of illumination. 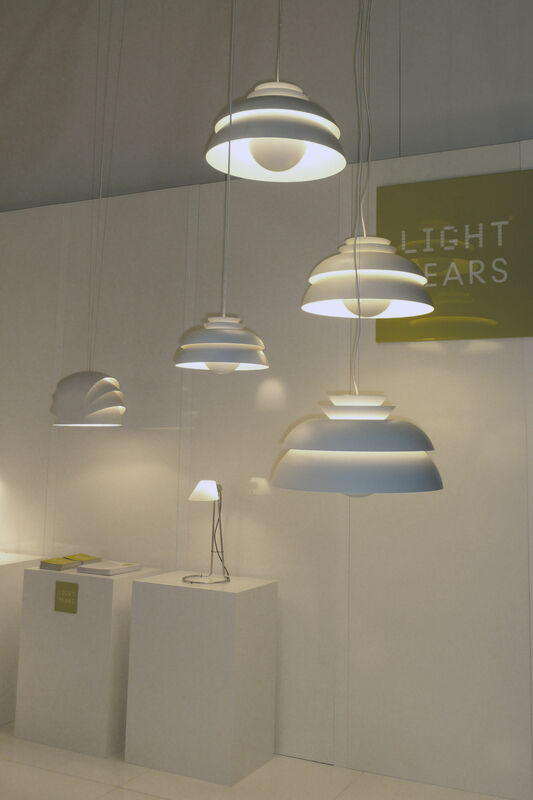 The pendant adds to ambient room lighting, thanks to the light sent out between the shades.